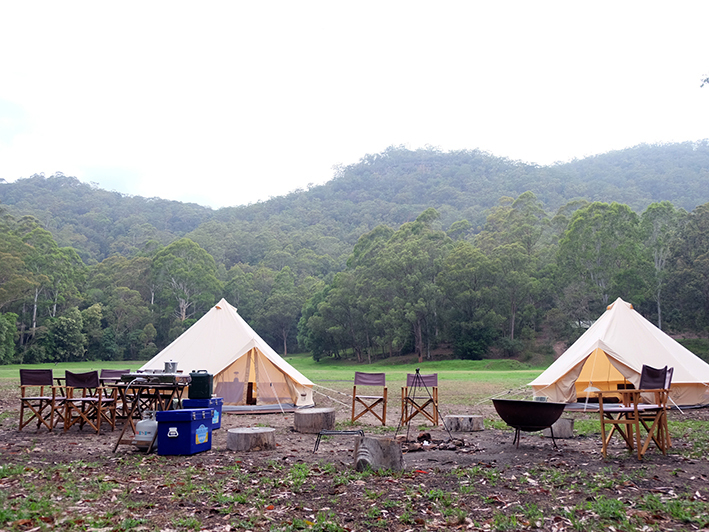 Easter Camping at Glenworth Valley - Simple Pleasures Simple Pleasures Camping Co. Guests staying in our tents will have intimate access to our own secluded camping paddock, with its own bathrooms and showers. This package is perfect for couples, groups and families and limited to 10 tents. Through April our tents will be set up in Big Paddock in a large area away from other campers. 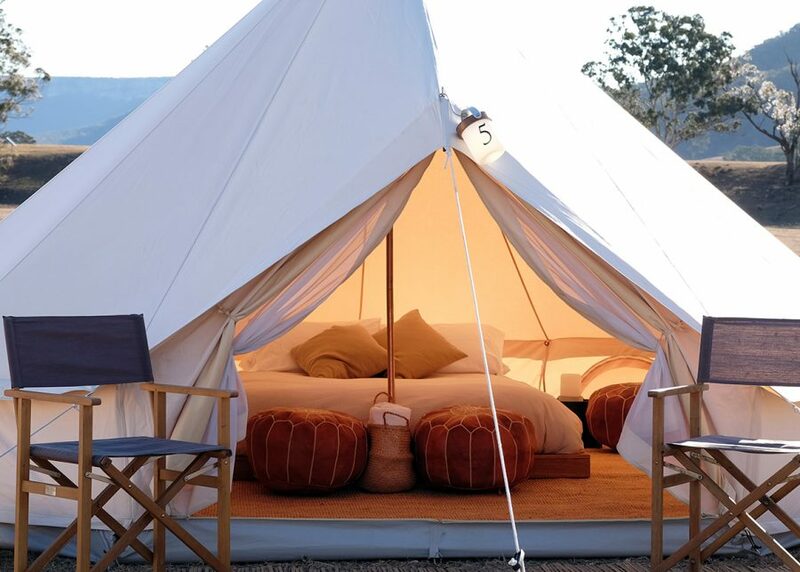 This package includes a 5 metre diameter bell tent fitted out with individually sourced Persian rugs inside and bamboo entrance matting outside. Each tent contains a real queen bed on hard wood bed base, fresh sheets, quilt and pillows, with the option to add additional single beds to your tent. Also included are a double gas burner, gas bottle, pot, pan, tongs, spatula, wooden spoon, metal camping cups and plates, cutlery, fire starting kit, solar and battery powered lighting, a billy, cool box, a camphor storage chest, outdoor table and chairs, rubbish bin and washing up tub. Our rates start $165/night for 2 people staying in a tent. Additional people after the first two are charged at $35/night per person. Our maximum number of people per tent is 4. 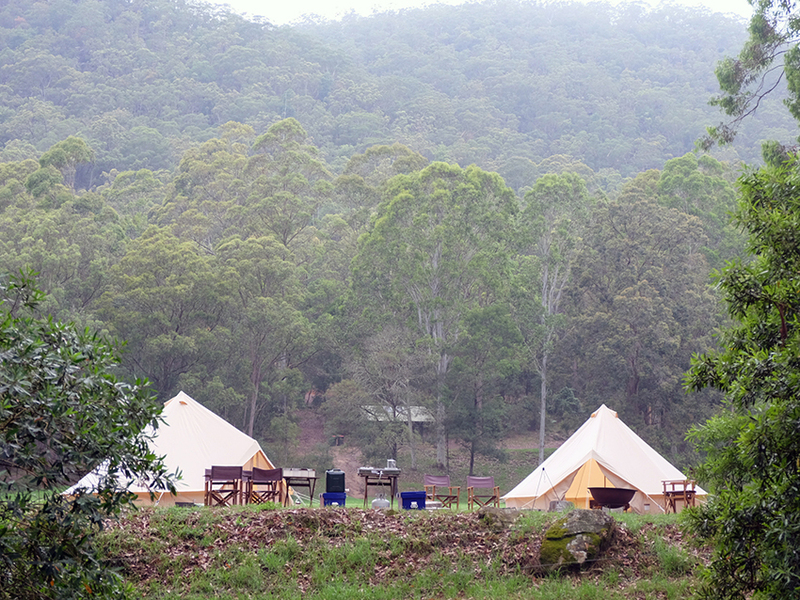 For weekends and the Easter holidays our rates start at $180/night for 2 people in a tent and we have a 2 night minimum. Please note that camping fees are not included in our rates and that our business is completely separate from the campsite. All enquiries regarding our tents and your booking with us are to be directed to us, and not the campsite. Regarded as one of the Central Coast’s leading tourist attractions, Glenworth Valley is renowned for its horse riding and variety of outdoor activities including quad biking, kayaking, abseiling, laser skirmish and camping. Activities take place on a privately owned 3,000 acre wilderness property nestled in a scenic valley and surrounded by National Park. Located in the NSW Central Coast hinterland, just off the M1 Freeway, Glenworth Valley is an easy one hour drive north of Sydney’s CBD or just 20 minutes from Hornsby. Camp under the stars amongst unspoilt surroundings. 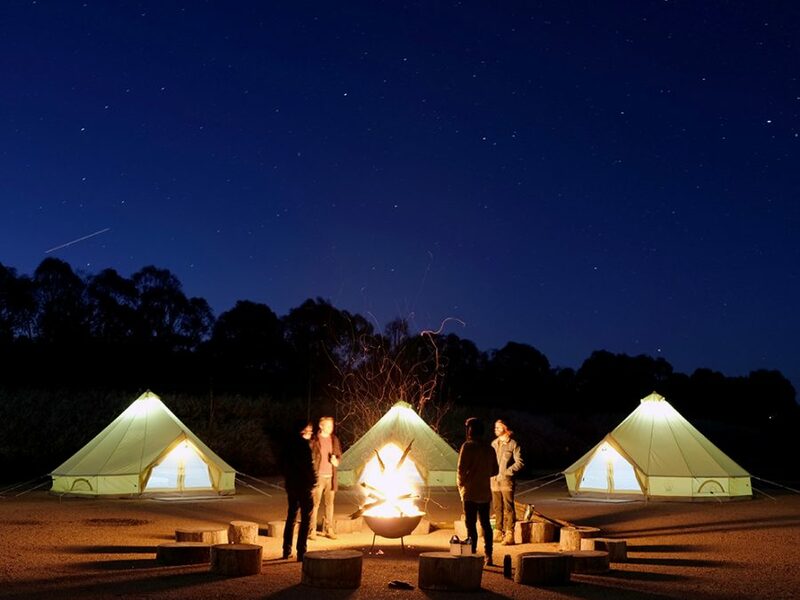 Relax in the 200 acre secluded riverfront camping ground, build a camp fire and wake up to a fun-filled day of adventure activities amongst spectacular bush surrounds. 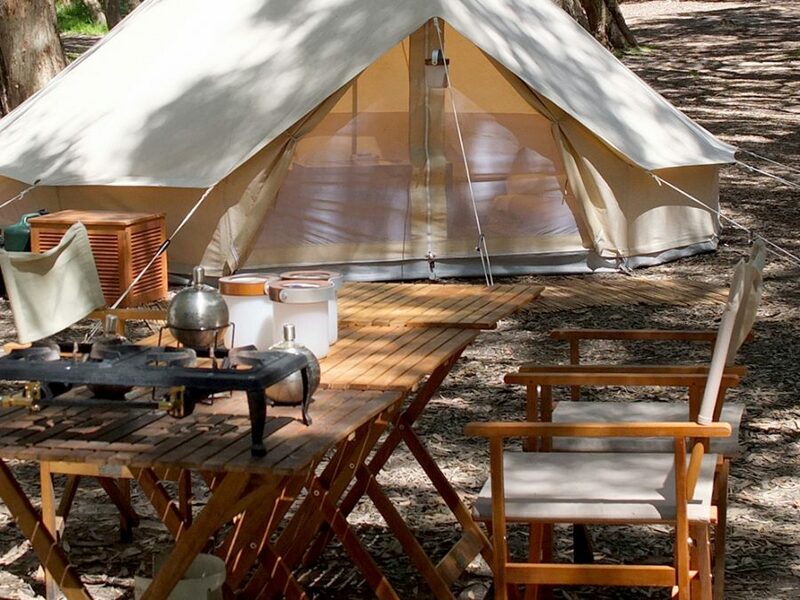 This camping ground features modern amenities and is perfect for families, couples and groups. Glenworth Valley itself features a range of natural environments from open pastures, lush rainforest, dramatic rock formations and towering ancient eucalypts with the crystal waters and natural rockpools of Popran Creek flowing through the heart of the valley towards the Hawkesbury River. The valley is home to many species of native fauna including wallabies, goannas, king parrots, lyrebirds and kookaburras. We pass these fees onto the campsite – Adults $30/night, Kids $15/night (2-15 years), Infants free of charge.